Where is the heart of football when the game at top level is just a footnote to the latest scandal and its professed custodians are scouring the world for ways to borrow from the most commercialised forms of sport? Perhaps it is somewhere between the covers of Footy Town, a marvelous collection of yarns and reminiscences of a generation of amateur and a few professional writers called together by Paul Daffey and John Harms. In similar format to their annual Footy Almanac also written by devotees of the code, this book lays bare the idiosyncrasies of the game, its players, officials and spectators from Abbotsford to Zeehan and even further afield. Where a club or organisation is the focus, the text is supplemented by a panel complete with logo and succinct details serving both as illustration and context. Like all anthologies the quality varies, but the best is superb, sparkling, evocative writing which speaks to the human condition, not just footy, while even the more muted efforts have little gems. It is about families, dynasties even, who populated the clubs and teams for generations. The AFL’s father-and-son rule is an attenuated version of the practice which dominates most of the rural clubs through the ages. Every reader will find his or her own favourites among the offerings and mine include the following. Murray Bird writes about a fellow Queensland umpire universally known as ‘the Swine’ who sanctioned one recalcitrant player with the first ninety-metre penalty in the history of the game and laid out another with a flying elbow off the ball. Vin Maskell takes us on a research trip and learner driver instruction with his son as he chases information for his Scoreboard Pressure website. Clint Rule is old enough to know better but he still manages to fill much of his space with the nicknames of the Adelaide University club including six of his own. Robert Allen takes us to Minyip in search of Roy Cazaly’s brief spell in the Wimmera where the store he was supposed to be running during interludes between footy and cricket went bankrupt in 1925. 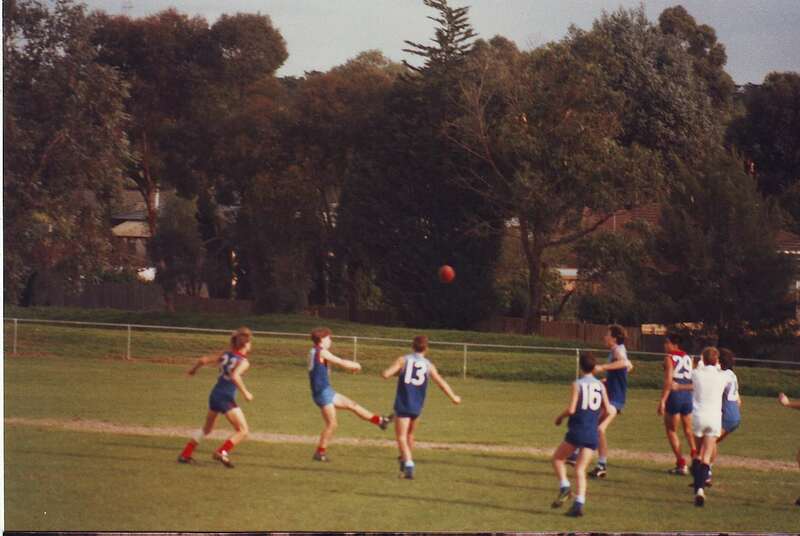 The bonus in this story is a short history of the Minyip club and the Wimmera league, one of the strongest local competitions of that era. Michael Sexton tells of matches for Edwardstown Baptist in Adelaide where he and a bunch of his university mates used to turn up for a game and be thumped by more industrial spirits. 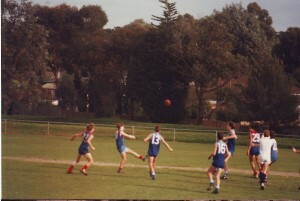 But that lets him bookend his story with Gavin Wanganeen’s first game of football for the red and blacks at the age of fourteen. The Brownlow medallist and premiership player remembers ‘I played for them, it was great. I got my eye socket busted in that match’. Di Langton tells how she got a gig as a football writer for the Amateur Footballer on the strength of a description of Chopper Read’s ears and Katie Lambeski celebrates a premiership with St Albans Spurs seconds. Quirky, sad, inspiring, funny and thoughtful, this is as good an account of what the game has contributed to Australian life and really means to its devotees even in this commercialised age. Paul Daffey and John Harms, editors, Footy Town: Stories of Australia’s Game, Malarkey Publications, Melbourne, 2013, xvii + 390 pp. $30.00. ← Which way for the AFL?